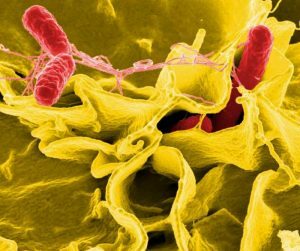 In a follow-up on the salmonella outbreak linked to three Angkor Bakery stores in South Australia, health officials report today that the number of cases of Salmonella linked to this outbreak has risen to 51, including 19 people who required hospitalization. In addition, the investigation into the outbreak reveals the likely source of contamination was related to handling of raw egg products. “The owners of the Angkor Bakery stores continue to work closely with the local councils and SA Health to improve their practices, and all three bakeries closed voluntarily during the investigation. Raw egg products can be risky ingredients if they are not appropriately handled, and safe handling practices should be followed by businesses and in the home. “It’s important to check that eggs are clean and not cracked or dirty – and those that are should be thrown out.